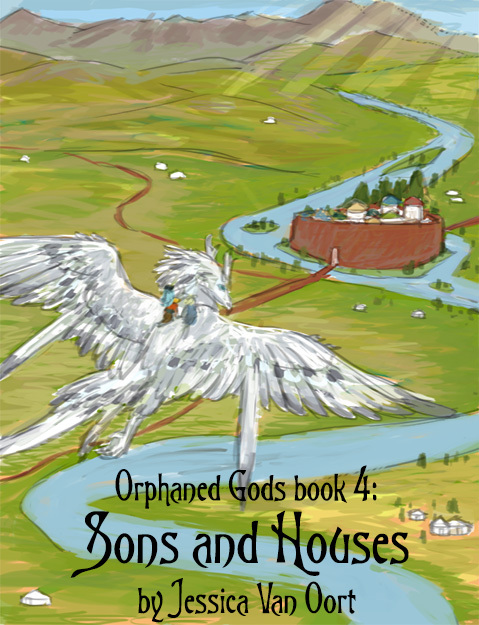 Here’s a quick-and-dirty preliminary sketch of the cover for book four of Orphaned Gods. 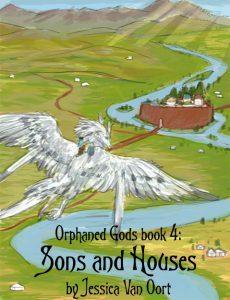 This one gets a cover concept before the first three in the series because Jessica is working on first drafting it for NaNoWriMo 2016! You can keep track of her progress throughout November over here.